Spiders are not usually considered to be pests, but that being said, any creature that is in your home that you don’t want is a pest. If you want to cut down on the amount of spiders that are in your home or if you would like to do everything you can to make sure that you put an end to the spider infestation that you have then there are a couple of things that you can do about this. The first thing that you need to do is remove the crawl spaces that you have. This includes clutter and any ground covers. If you remove their environment, you can then begin to remove the spiders themselves. Of course, you probably won’t want to consider spider repellent unless you have a genuine spider problem. This would actually be considered as a pest problem and this is especially the case if you have a nest of spiders in, or outside your home. Products such as Web Out help to repel spiders and they also help to remove the web as well, helping them to move on to other areas without them setting up home inside or outside your property. If you have a gap in your room where you know spiders are coming from, spray an insecticide treatment around the entry points. You should also spray it outside the perimeter of your home. This is only a good treatment if you have frequent spiders in your home and not the odd-individual house spider. Of course, as mentioned above, any creature is considered to be a pest if you don’t want them in your home but unless you have a problem with the number of them, it is often ill-advised for you to go out and treat your home. This is because the treatment won’t be very effective in stopping the individual spiders, and it is only generally effective if you have a nest nearby. The main reason for this is because the individual spiders are probably coming from different areas of the home, and it can be hard to treat this as opposed to having them come from one place, such as a nearby nest or anything else of the sort. If you know that you have a spider problem then you can contact your local pesticide service to see if they can help you. They would be able to help you to eradicate your spider problem as well as helping you to make sure that you are doing everything you can to get the best result out of your extermination. Your exterminator can always work with you to make sure that your home is treated. 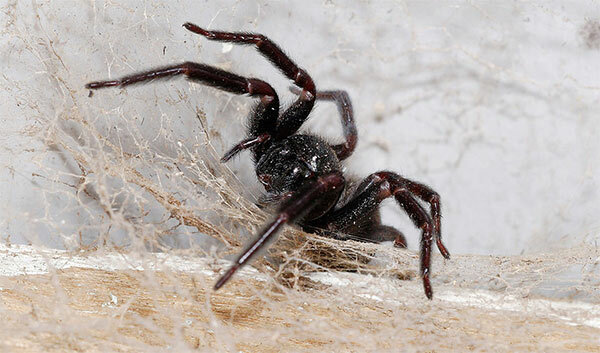 Click here to reach out to one if you need help with removing spider nests in your home. Read here for more information on how you can keep spiders away from your home.